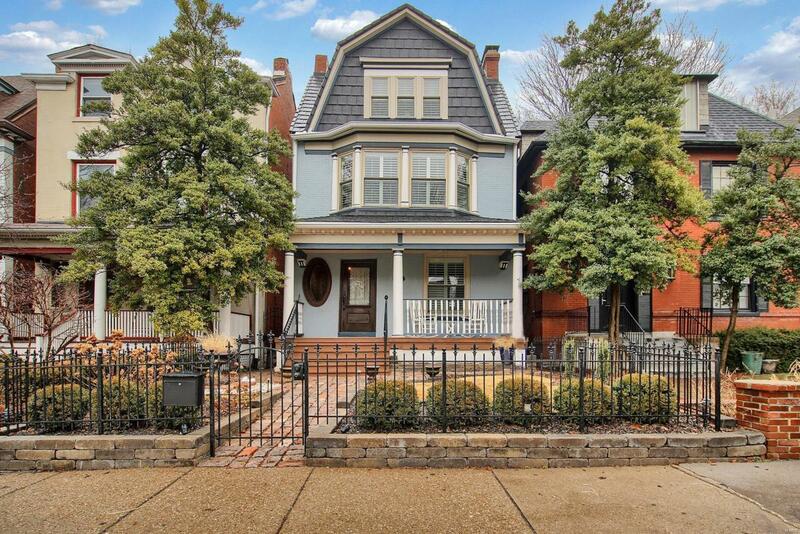 Complete gut-rehab in fantastic CWE location! Spacious covered front porch overlooking landscaped front yard. Exposed brick, hardwood floors, tray ceiling, recessed lighting, & original millwork greet as you enter the main level foyer. Gourmet kitchen designed w/custom cabinets, granite counters & apron sink, tile floors, center island/bfast bar, & butler's pantry w/wet bar. Walkout to huge covered back porch with ceramic tile floors & ceiling fans overlooking landscaped backyard with full privacy fence & remote back gate for alley access to secure parking pad. New waterfall carpet runner on front stairs. Master suite has new Tuftex herringbone carpet, walk-in closet with W/D, & master bath with dual vanities, heated tile floor, oversized tub, bidet, and large steam shower with 6 shower heads! New 100% wool carpet in 2nd BR with walkout to screened porch wired for sound w/ceramic tile & new Sunbrella awnings. Zoned HVAC, 2nd W/D hookups in bsmt, & owned Solar panels. All TVs included.